Looking for a scenic, windy, remote kitesurfing destination? Introducing: Sibaltan. 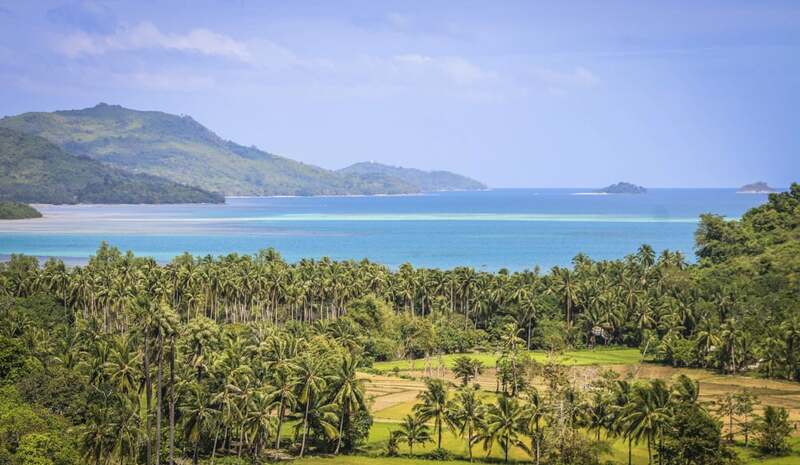 In January 2019, Daniel Meissner and Julia Tausch set off to explore some offbeat corners of the Philippines whilst taking part in the 2019 PKA tour. 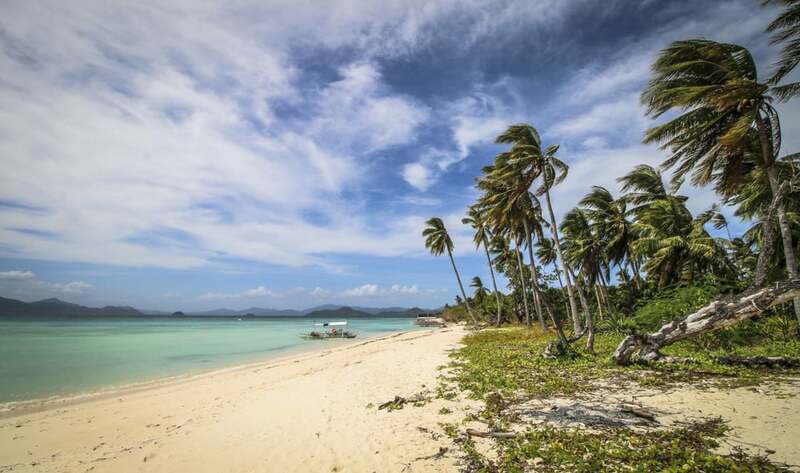 During their time in Palawan, they fell hard in love with a small town called Sibaltan- and wrote to us to tell us exactly why they reckon it’s set to become an epic destination for kitesurfers and adventure travellers. 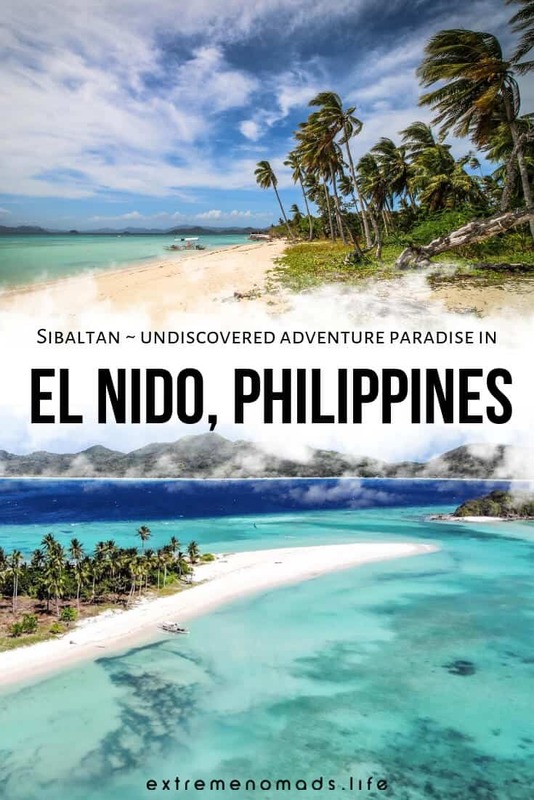 Perched on the northerly tip of Palawan Island and just one hour from the famous karsts of El Nido, Sibaltan is a little town that’s just about as quiet and remote as it comes in the Philippines. Along the coast, clean white sand beaches meet with clear blue water, while inland it’s all coconuts, cashew trees, and the sounds of bird calls. “We were stoked about the scenery” say Dan and Julia “But then we fell completely in love with the consistent wind and the huge beach area with just one kite in the air”. 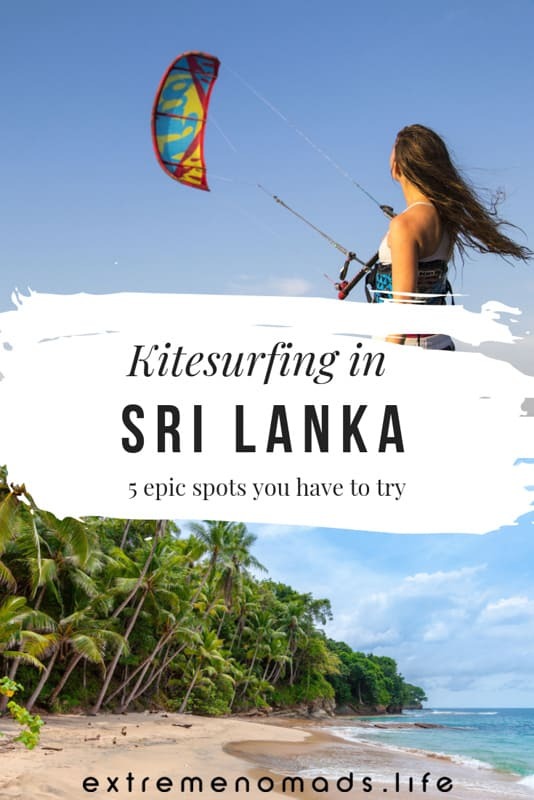 If you’ve read our updated list of most epic kiteboarding locations in Asia, you’ll know that we’re pretty much obsessively on the lookout for awesome new places to head to with our kite bags- so Sibaltan makes our ears prick up BIG TIME. From the incredible beauty of the natural scenery to the peacefulness and simplicity of the local lifestyle, it’s no big surprise that Dan and Julia came away with the distinct feeling that Sibaltan is on the verge of exploding as a tourist destination- and more specifically, as a kitesurfing destination- in the very near future. 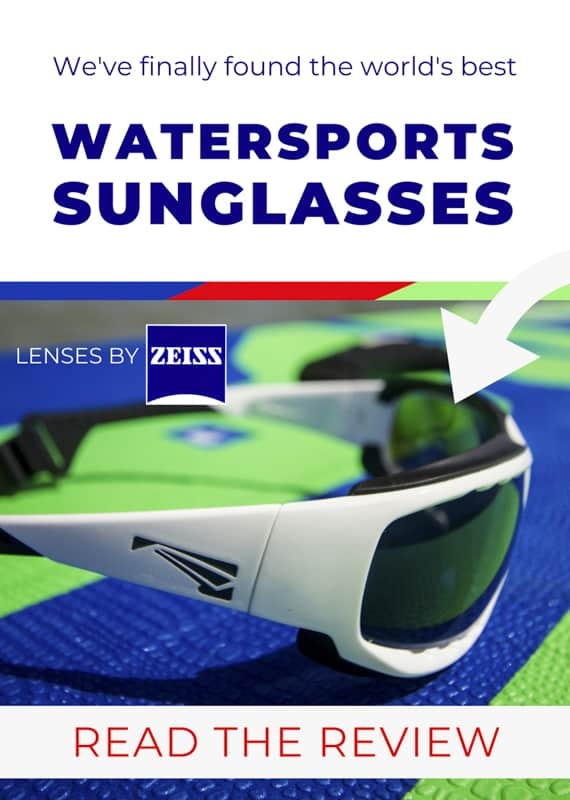 In this quick guide, we’re going to dish out must-know info about travelling to Sibaltan, including accommodation options, travel tips, and of course a run-down of the local kitesurfing scene.By the by: if you’re thinking about doing some travelling (maybe to the Philippines?!) with your kite gear soon, check out our detailed review of 5 kiteboard travel bags to find out which we love. 1. Sibaltan is a super remote town- albeit a growing one- and as of yet, there’s no electricity in the area. Most places in town make do with a generator which gets turned on for a couple hours every evening. “To be honest, this scared us a little bit at first” said Julia, “but after two days we started to really enjoy the [simplicity of] life there”. 2. All local guest houses in Sibaltan have a generator that typically runs between 6-11 pm (though exact times vary slightly from place to place) so you’ll be able to charge your electronics and so on. See our where to stay in Sibaltan section below for more details. 3. Internet connections are not particularly stable in Sibaltan, so keep this in mind if you rely on your internet connection for work. 4. If you’re looking for parties, Western standard amenities, or a buzzing social scene- Sibaltan won’t do much for you. But if you’re keen to escape the crowds and spend some quality time in drop-dead gorgeous nature, there’s no better place. 5. Sibaltan is just an hour away from El Nido, which you can easily reach by scooter. If you’re feeling like you need a change of scene, it makes for a great day trip. Like much of Southeast Asia, the Sibaltan kitesurfing season is at its best from the end of November until the end of March. During this time, the northeast monsoon brings a consistent 15-25 knots of onshore/cross onshore wind on a near daily basis- yay! 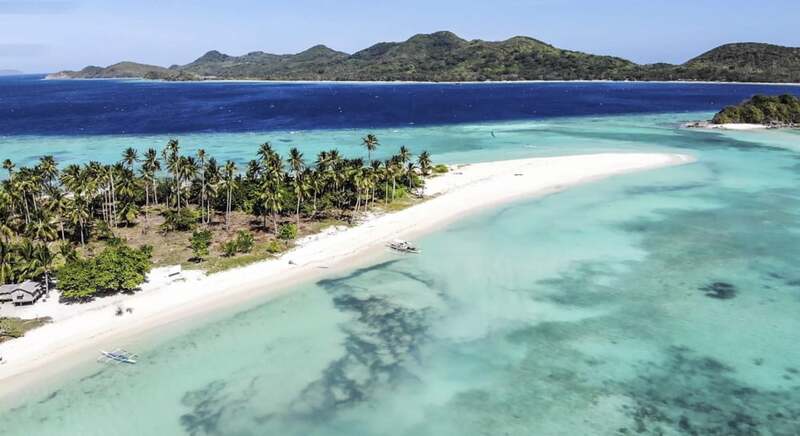 This brings Sibaltan on par with other kitesurf destinations in the Philippines such as Mindoro or Boracay, and more consistently windy than the likes of Siargao Island. Head to the Qi Palawan Windfinder station for up-to-date readings and wind stats. Average kite sizes during the Sibaltan kitesurfing season are 8-13 meters. The water off the coast of Sibaltan is mainly flat with just a hint of wind chop- so it’s just as perfect for freestyle riders as it is for total beginners. Low tide brings ideal learning conditions, with shallow water throughout. Though the kiteable area in Sibaltan is affected by the tides, it shouldn’t interfere with your kiting- even when at its lowest. During periods of low tide, you can easily walk out past the sandy area to reach the water; then it’s even easier to reach the little island sitting just offshore, which you can kite out to and take a break- Robinson Crusoe style. In fact, there are a whole bunch of tiny islands off the coast of Sibaltan which make for seriously epic stop-offs for downwinders and day trips. There’s currently only one kitesurfing school in Sibaltan, and that’s Sibaltan El Nido Kiteboarding. In addition, the region surrounding Sibaltan makes for some seriously good exploring. Take Maosonan Island for example (pictured above); it’s just a one hour boat trip away from Sibaltan and features its own clear blue water, perfectly stable wind, and all-round awesome kite conditions. 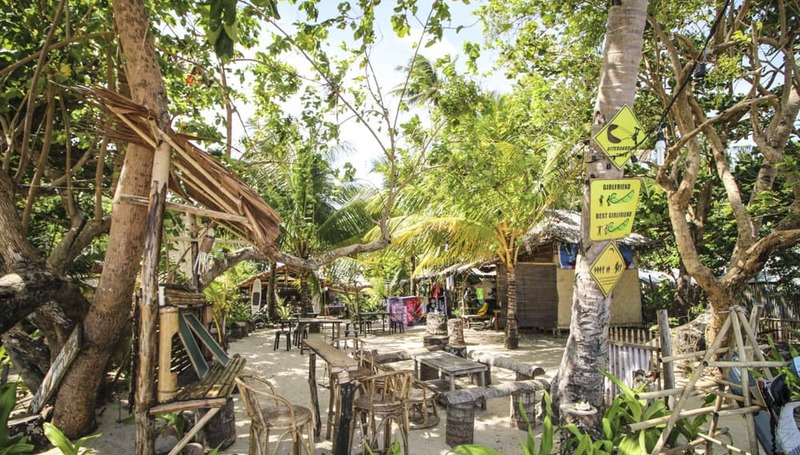 Though Sibaltan is still super remote, there are now just over half a dozen locally run guesthouses around the town to serve the few tourists that pass by. Take your pick between family run homestays, campsites, farmer’s cottages, and beach bungalows. “We stayed in Erlitopp’s” says Julia “They have nice little bamboo huts for a good price, and the view from the hill facing the ocean is awesome. [They also have] good food and really nice staff. Then we moved closer to the beach and stayed at Ursula Beach Club, where they have 3 nice rooms and a very good restaurant”. See pictures and prices for the full selection of Sibaltan accommodation options on HotelsCombined- which is our favourite hotel booking platform (since they compile all the results of the major booking sites, so you’ll always have the most selection and the best price). The easiest way to get to Sibaltan is to fly to El Nido with AirSwift from Manila. For travellers coming to Sibaltan from Boracay, you can fly directly to El Nido from Caticlan Airport. It’s also possible to fly to Puerto Princesa, which typically is cheaper than flying to El Nido, and from there take a public shuttle bus to Sibaltan- which takes about 6 hours. For travellers with a big kite bag: AirSwift offers 10kg for free, so you’ll need to book an additional 10kg online when you pay for your ticket- and any excess you’ll need to pay for at the airport (overweight charges are 1kg = 200 Pesos). From El Nido Airport to Sibaltan, the easiest way to travel is with the shuttle bus, which takes about 1 hour and costs 1,500 Pesos. You’ll need to reserve your spot on the shuttle in advance, so best off requesting for the kite school to do this for you. Keen to know more about travelling and kitesurfing in Sibaltan, El Nido? Drop us a comment below with your query, or head over to our FREE Facebook group and pitch your question the the community. Thank you so.much for sharing the article it reminds me of my 8 months stay in El Nido while building the Zipline there. Am glad that Kite Boarding is keeping up and soon will be trending. It will be a great things thats going to be in the place called Sibaltan.